This is one amazing story. It will have you engrossed for the entire film. You will feel the frustration and the sadness which accompanies Post Traumatic Stress Syndrome. You won’t see only the violent side of this disease as it is so often shown on television and in films. PSTD doesn’t have to be violent or dramatic. It can be silent, but just as destructive. In this true account Jimmy Picard; played by Benicio Del Toro; is a troubled Blackfoot Indian with a severe case of PTSD after serving in the Army overseas, where he saw combat. 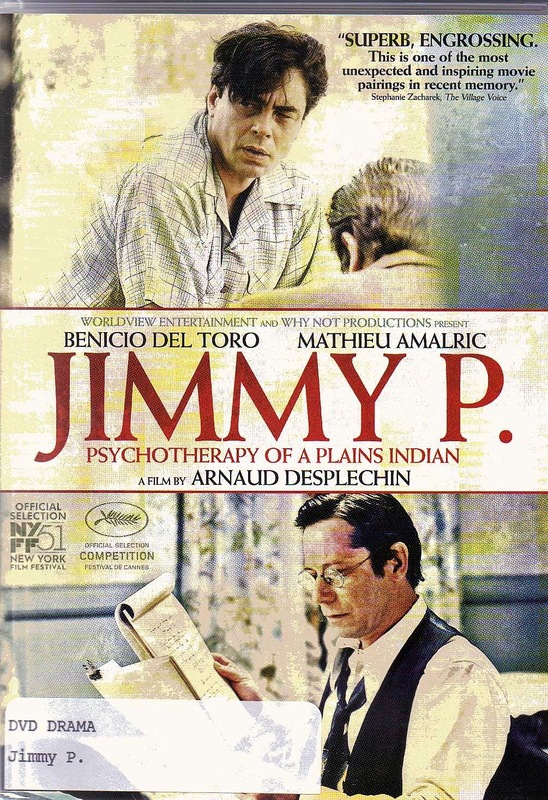 There are essentially only 2 players in this drama; Jimmy Picard the patient, and his therapist Dr. Georges Devereux; played by Mathieu Amalric. Dr. Chevereux is the slightly off beat; and broke; French analyst who is consulted by the staff of the hospital where Jimmy is being treated after they cannot find anything wrong with him. Aside from a general feeling of nausea, along with debilitating headaches, there is no real “medical” reason for his problems; hence no cure. He seems destined for a life of unabated hell. Enter Dr. Devereux, who recognizes that Jimmy has been through one ordeal after another; beginning with some traumatic childhood experiences he has repressed. During the war the relationship between right and wrong; good or bad; became blurred. These events led him back to the suppressed events of his childhood. The collision of those two worlds; and standards of justice; were the root cause of his headaches. Understanding this was the key to his relief. Initially the doctor is only interested in Jimmy as an extension of his anthropological studies about Native Americans, but he very quickly warms to the man as someone in need. In helping Jimmy the doctor finds something new about himself and his own capacity to give. Through a series of meetings and conversations he essentially performs a complete psychoanalysis of Jimmy as a subject. And with Jimmy so willing; and able; to help, his recovery is soon assured. This is one of the best of the many wonderful performances we have seen from Benicio Del Toro. And for those unfamiliar with him this is the perfect introduction to Mathieu Amalric. With no special effects; and no real “action”; this film is able to showcase the powerful acting on the part of these two most capable thespians. After watching this powerful film the term “actor” seems inadequate.